She wears many hats, almost always working first on whatever intimidated her. She has a couple of degrees in Computer Engineering, a PhD in Electrical Engineering and manages a small team of consultants dealing in Intellectual Property Rights. Anuradha Vaidyanathan teaches at IIT Ropar and IIM Ahmedabad. Her curiosity has taken her to a number of places around the world. Well, Anu, as he likes to be known, competes in a triathlon version called the Ironman and it involves swimming over 3.8km swim, bicycling across 180km and running 42.2km. And when she gets bored with taking part in Ironman competitions, she prefers the ‘easier; Ultraman version – involving a 10km swim, 420km bicycle ride and an 84.4km run over three days! 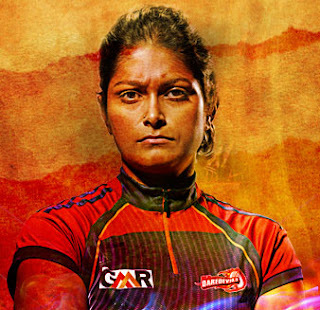 The Delhi-born 30-year-old has managed to compete consistently and most of all, keep her love for this sport alive. She has found that if one loves something, one will always find a way to do it. She dislikes the very thought of not trying, sets her own limits, is persistent and defies eats a lot of stereotypes to make her dreams come true. Her passion inspires everyone who knows her to not accept status quo and to make things happen. We are sure you will agree that she is a worthy flagbearaer of Daredevilry. We are proud to give Anuradha Vaidyanathan, wearer of many hats, one more hat to wear – that of being a Delhi Daredevil Super Fan.